“Environment Canada has ended the squall warning for the North Channel at 7:56 pm,” the radio hissed. I flicked it off and stared out across Lake Superior. The storms came in waves all day, rumbling and flashing white, dropping rain, scouring the surface with wind, then disappearing, leaving the water eerily calm. I sat in my hammock and watched like a fish might watch a lure, hungry, wanting to bite, but seeing that thin line in the water, the flash of a steel hook, and feeling that twist of uneasiness. Instead,8 I rolled over to take another nap, closed my eyes, and listened to thunder shake the distance and rain fall on my tarp. It was a good day to watch, to know that the biggest problem I’d have was not figuring out how to turn a boat upright in the waves or how many minutes I could swim before going numb, it was only wondering why I didn’t buy more gummy bears and how the bag disappeared so quickly. I didn’t move an inch, but sometimes that is not a bad day for Lake Superior. Posted in Angle to Key WestTagged Angle to Key West, day off, lake superior, storms, wind, windboundBookmark the permalink. 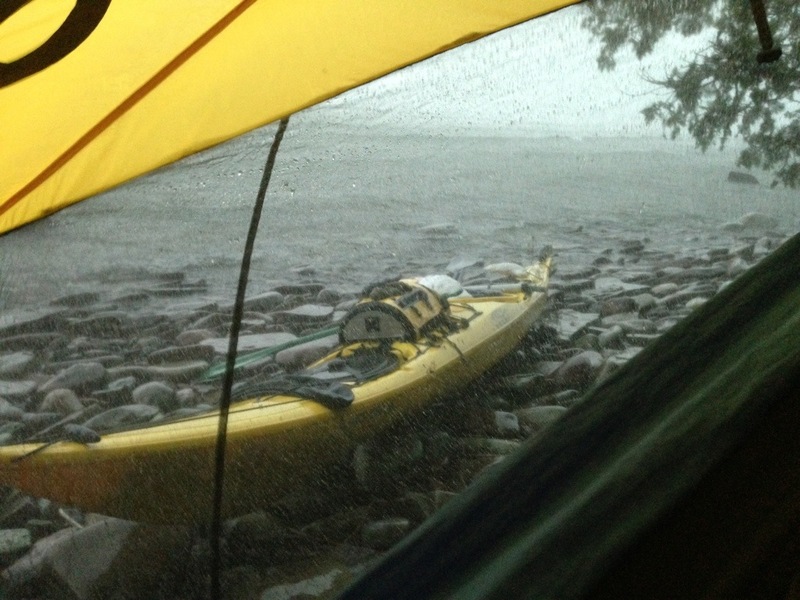 Yes, you have to be patient and work with Mother Nature when on Superior. Good paddling! where did all the gummy bears go??? where???? Patience is a virtue, have it if you can,it…………………..You know the rest.